They're all variations on the same thing, casual comfort. 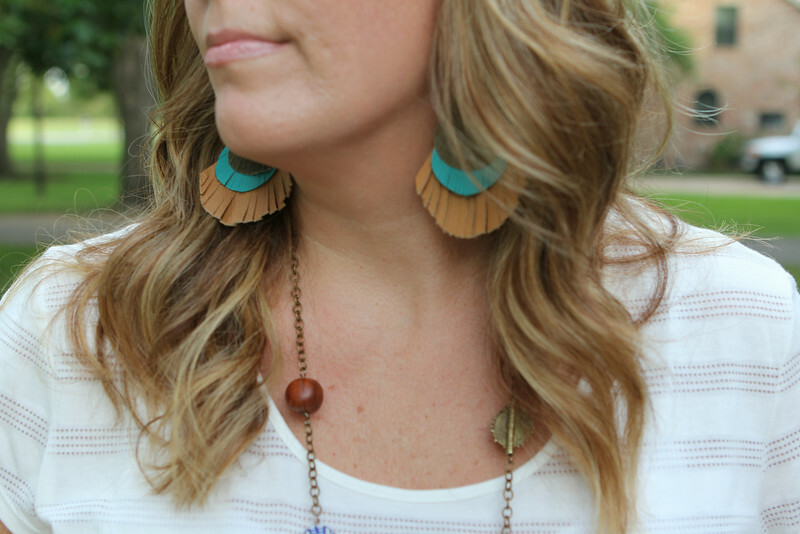 After hemming and hawing and drooling for over a year on different Noonday accessories I recently pulled the trigger and ordered two pairs of earrings and two necklaces. 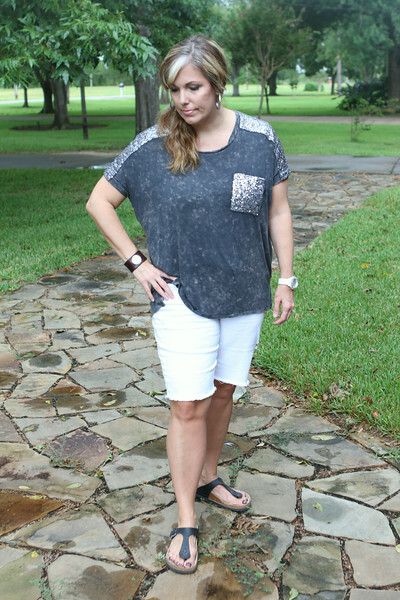 I guess I was pushed over the edge after watching Jen Hatmaker sport several different pairs of big earrings while renovating their farmhouse and loved how they added an instant WOW factor to her simple outfits. Statement pieces are my jam, man. And helping empower women around the world? Even better. Yes, I got a little infatuated with a side ponytail this week and wore it two days in a row. I'm also infatuated by the ground. I mentioned in my last post about how I had purged my closet again and was intrigued by the minimalist capsule wardrobe concept. While I don't know if I'm ready for that challenge yet , I do think I need to be content with what I already have. In an effort to practice said contentment (did I really say that?) I am challenging myself to wear what I have, mix and match, re-wear, try new combinations and have fun with my accessories. That also means no shopping during September, maybe longer. I'm linking up with The Pleated Poppy, Because Shana Said So and Get Your Pretty On, be sure to pop over there for tons of fashion-y ideas! Love the Twisted Silver necklace! Thank you! Twisted Silver is one of my favorite lines of funky accessories--they often have flash sales which is great! 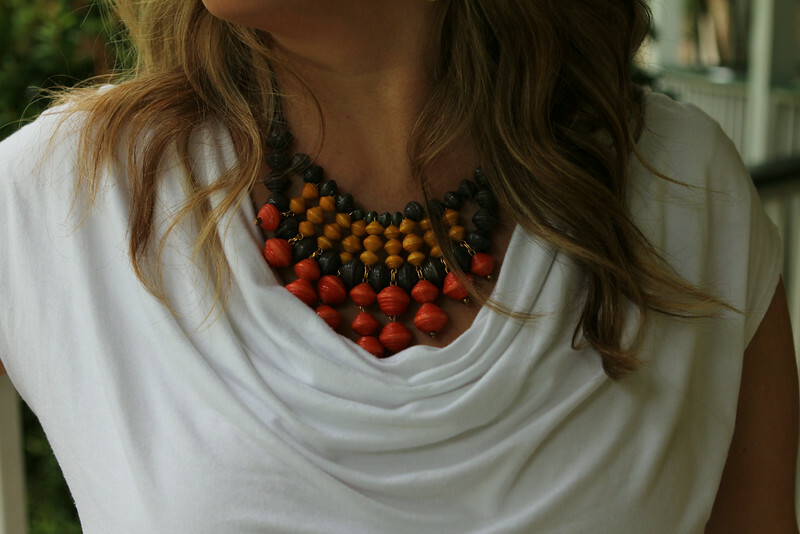 I just came across your blog from the pleated poppy and LOVE your style. 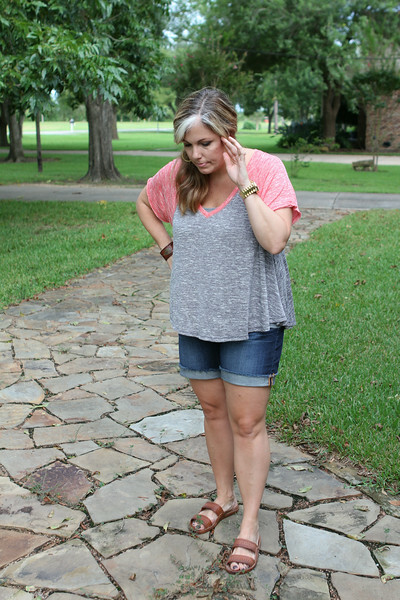 Casual comfort is exactly the inspiration I need as a sahm. Thanks for sharing! Uh-oh! Sorry about that! ;) Pinterest Told Me To can be dangerous, but she has great on trend suggestions. I've been happy with my Vigoss, I hope you are too!